Producer Drey Beatz thrills fans yet again with this number titled “Kinging”. He features Mavin’s dream, Reekado Banks, Capital Hill/Goretti rapper iLLbliss and Igos. This is a sure listen to. 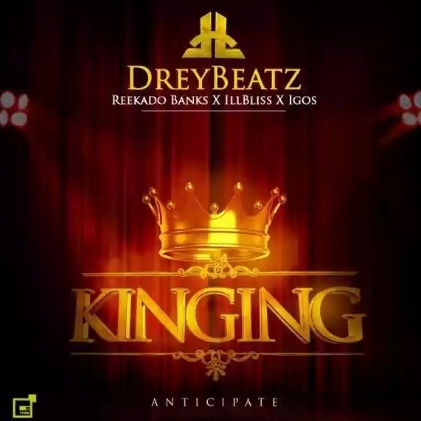 DOWNLOAD Drey Beatz – “Kinging” ft. Reekado Banks , iLLbliss x Igos .